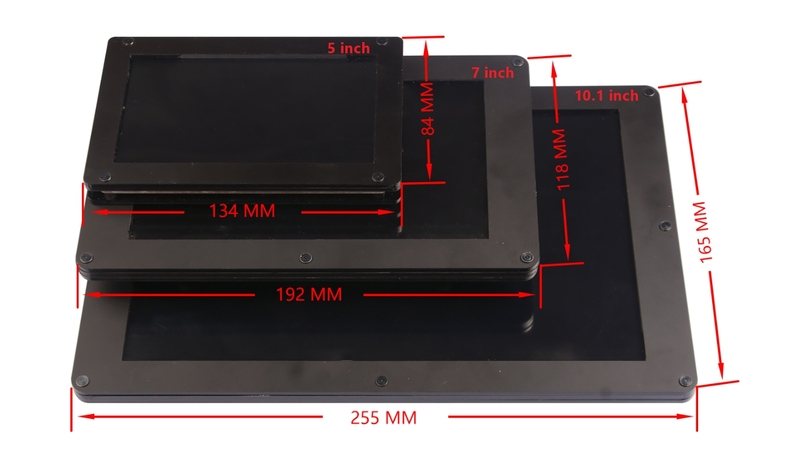 Here we offer you this high-resolution, ultra-wide viewing angle ISP HDMI display. Specifically, this display has a resolution of 1200*1920 and a viewing angle up to double 178 degrees. It is small and light, easy to carry, and compatible with most platforms with HDMI interface. No need for drivers, true plug and play. In addition, this display has a backlight-adjustable function that allows you to adjust the brightness using the buttons on the back. In order to protect the screen, the screen surface comes with a protective film. If you want to tear off the protective film, you need to use a screwdriver to remove the screws on the outer casing. For more detail about assembly, please check the DOCUMENTS TAB. In this project, we plan to take pictures with picamera and recognise faces in them, then display recognition result in the screen. If faces known, open the door, and send who opened the door to specified phone number via SMS. Will you be offering a touch panel for this screen? It appears to have the hardware to support one already. The additional items includes “raspberry pi mounting screws”. 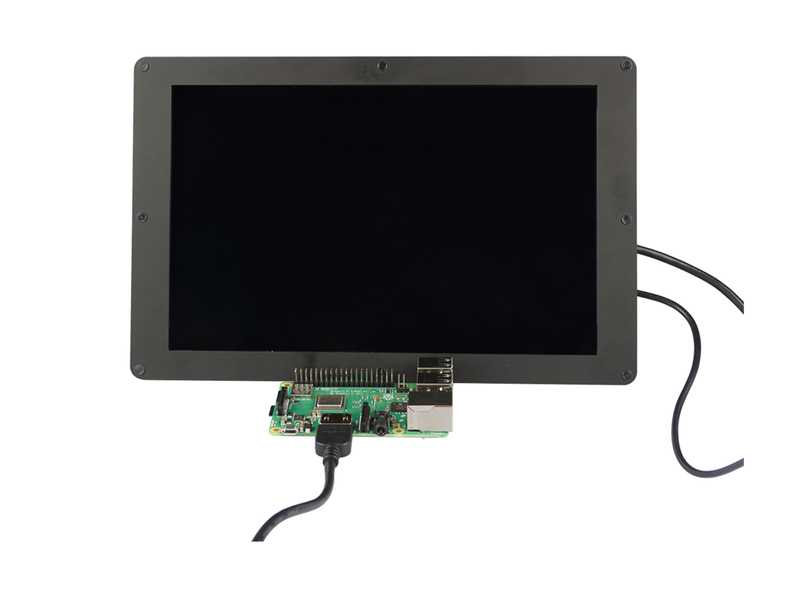 Where on this display would the Pi be mountable? Hi Austin, You can see four mounting holes on the back that match the mounting holes on the Raspberry Pi. You can mount the Raspberry Pi to the back using the matching screws. 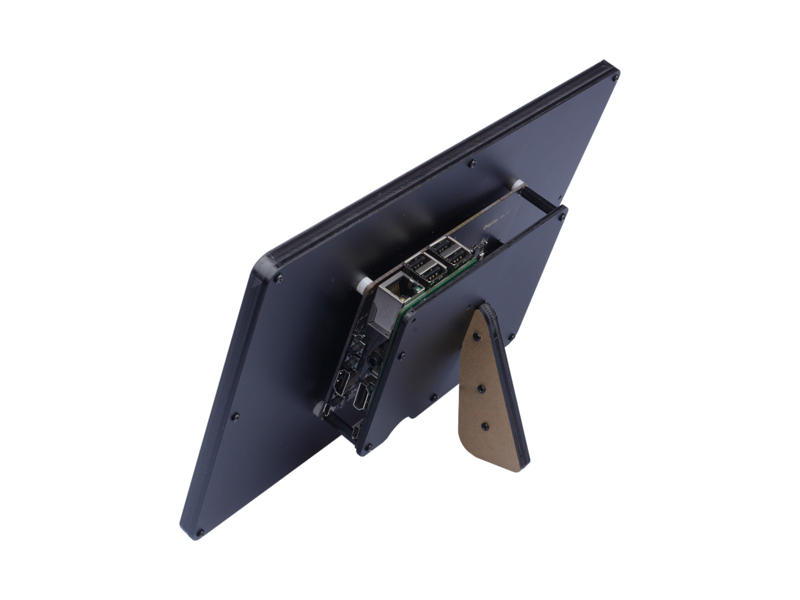 Hi Austin, We've uploaded the Raspberry Pi Mounting Guide into the DOCUMENT TAB, it will show you how to mount the Raspberry in detail, please check. Thanks for your time and interest in Seeed. What is the brightness rating for these displays? Specifically, the 10.1". Hi Matt, please check the datasheet in the Document column, we've uploaded the datasheet now. 1980 x 1200 seems an unusual resolution. Is it possible this is a mistake and it is 1920 x 1200? Hi virtual, you're right, it's 1200x1920. We've fixed the mistake.